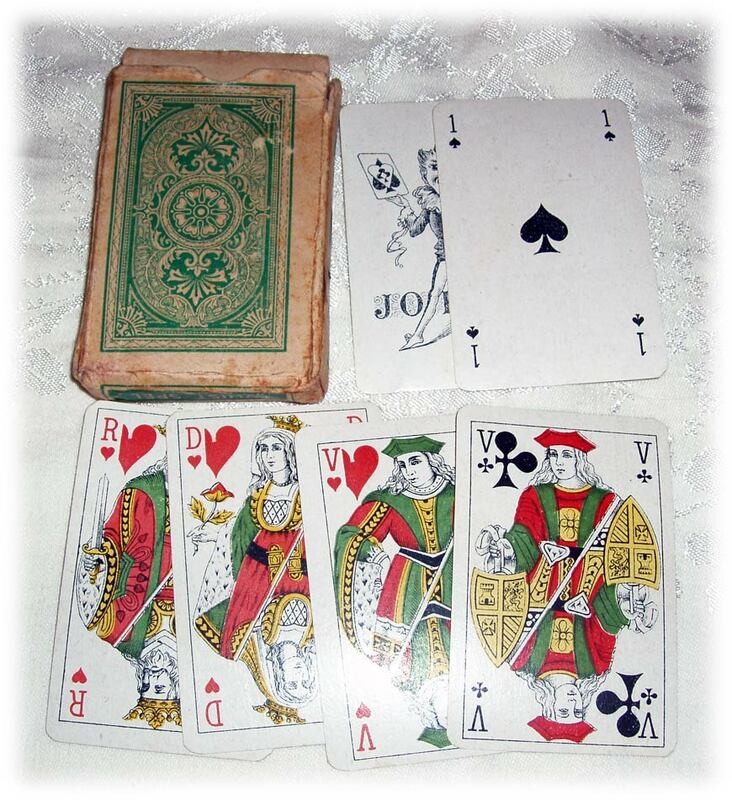 Van Genechten manufactured playing cards in various styles, including specially customised versions for commercial clients wishing to advertise their own brands on the cards. 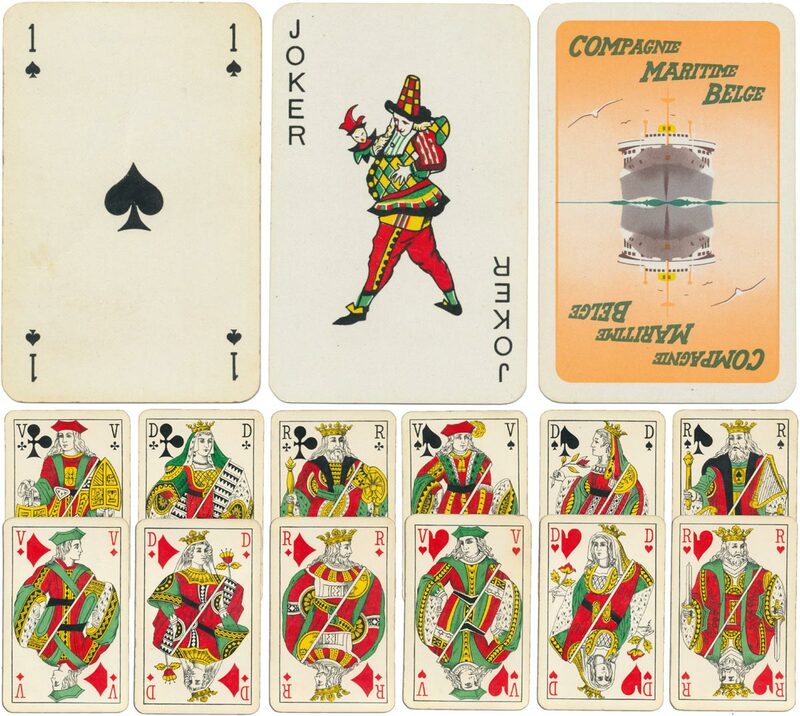 Above: standard pack of 'Genoese' or 'Belgian' type playing cards manufactured by Van Genechten for Compagnie Maritime Belge, 1950s. Image courtesy Matt Probert. 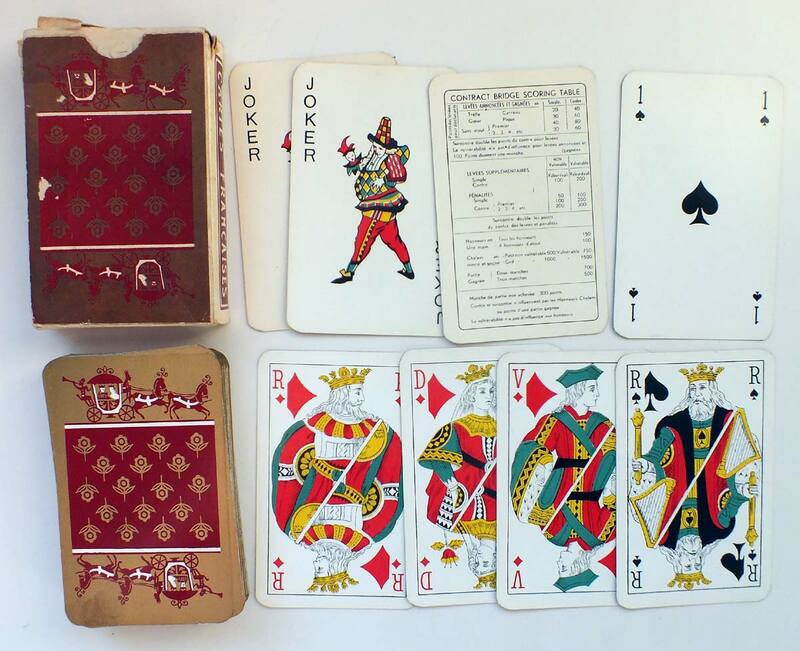 Above: standard pack of 'Genoese' or 'Belgian' type playing cards, with joker and box manufactured by Van Genechten, c.1920. 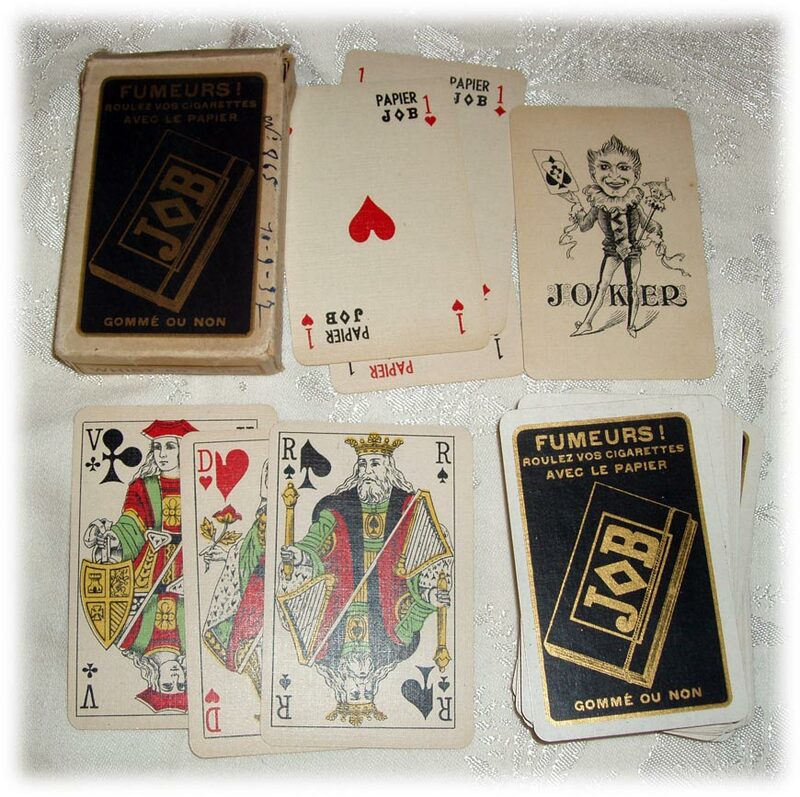 Above: customised pack of 'Genoese' or 'Belgian' type playing cards for JOB cigarette paper, manufactured by Van Genechten, c.1930. Above: 'Genoese' or 'Belgian' type Bridge pack, gilded corners, c.1960.